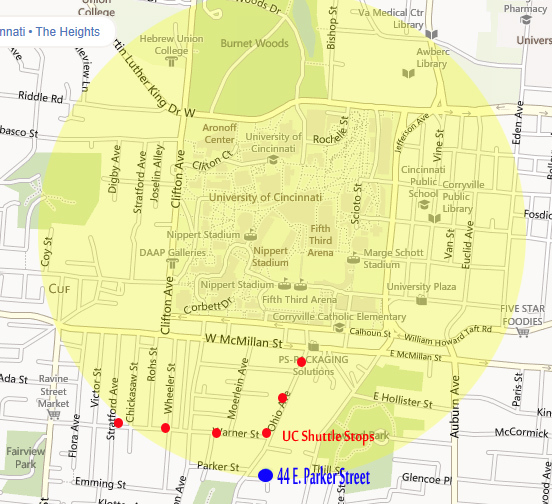 From the center of campus, It is CLOSER than other places available. Walking down Ohio Ave. is a FLAT and LEVEL walk. Most other locations are an up hill climb! Its a QUIET area in Clifton Heights. Fewer parties, less traffic and EASIER parking!